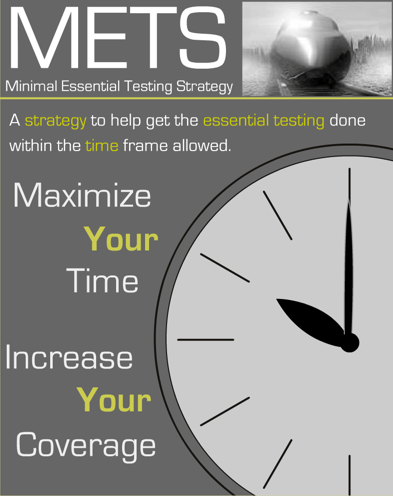 Minimal Essential Testing Strategy or METS is a Quality Assurance, testing methodology. METS is built upon the principal that tests can be prioritized from Critical to High, Medium and Low. This prioritization provides great flexibility to reduce as much risk as possible with the timeframe given. METS is an essential testing strategy utilized by many QA organization and recognized by the American Software Testing Qualification Board (ASTQB) as an effective testing strategy.